I remember when I was a child my Father read some of these stories aloud to us as he was making his collection; and I remember, too, how thrilled and awed we were, and how at times they brought a creepy feeling when at night I had to mount many flights of stairs to my bedroom at the top of the house. There is a growing interest in all the occult phenomena to which this work is devoted. It is in evidence on every hand. The topic is in the air, and will be discussed and is being discussed, whether we take notice of it or not. That it has its dangers those who have studied it most closely are most aware, but these dangers will exist in any case, and if those who ought to guide are silent, these perils will be encountered without the safeguards which experience would dictate and prudence suggest. It seems to me that it would be difficult to do better service in this direction than to strengthen the hands of those who have for many years past been trying to rationalise the consideration of the Science of Ghosts. PART I.—THE GHOST THAT DWELLS IN EACH OF US. PART III.—CLAIRVOYANCE.—THE VISION OF THE OUT OF SIGHT. PART V.—GHOSTS OF THE LIVING ON BUSINESS. 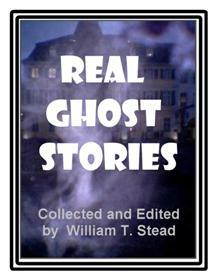 Read this eerie and exciting ebook in PDF format for just $1.00!